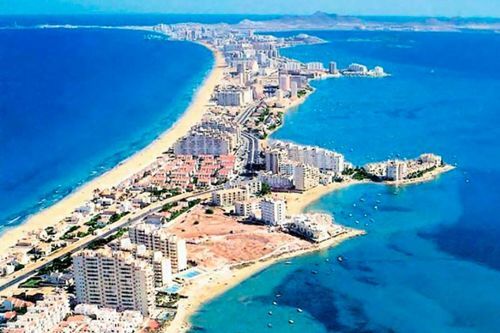 Murcia offers its visitors a variety of attractions and famous places. The most popular city destinations, which are preferred by the majority of tourists will include Templo De San Juan, Plaza Julian Romea, Teatro Circo Murcia as well as many other places. The importance of the city over the years can be seen in its churches, palaces, and other public buildings. To experience Murcian Baroque architecture at its best, visit the churches of La Merced, San Juan de Dios, San Nicolas or San Miguel, and buildings such as the Bishop V Palace or the Palacio Fontes. The Cathedral with its famous baroque design, the late Renaissance Junterones chapel, and the Velez chapel, combining Gothic details and Moorish decorations, highlight the variety of architectural styles which can be seen. In the Traperia, a pedestrianized street, you will find the Casino (built in 1847). Its entrance hall is in the style of a Moorish courtyard, with a richly carved ceiling and intricate stucco wall panels. The Casino also houses an elegant Viennese Ballroom. Two further buildings that are well worth a visit are the Romea Theatre and the Town Hall. These are just a few of the monuments to be explored in the city of Murcia. If one would like to admire its unique beauty then one should start planning a trip there immediately. Many of us got used to the fact that a traveling agency provides also with coach hire services for its clients. We do not even think that it could be done straight away without an intermediary, which can also save a lot of money. When a group of people comes to visit Murcia, turning to services that can provide a high-quality coach rental is vital. These buses must have the maximum comfort, be modern, attractive, leaving only positive memories of a time that has been spent in the city. 8rental is one of those companies that likes to build lifetimes memories for its clients. We provide our clients with the most modern fleet that comes along with an experienced driver and we offer all support so that no one will remain unsatisfied after using our rental service. Just send us a quote and state your requirement and let us prove our reliability and trustworthiness. Reserving our services is a relatively easy process. It could be done via social network or in most common ways such as phone or email. Contact us via email, phone or Skype, or any social websites you find us. Be prepared to tell us about all your requirements, such as the number of people, the dates when the services are needed, etc. Receive our suggestions and recommendations. Make payment if you are satisfied with the prices and policies. Get confirmation from our representative. At our customer’s requests, the routes can be specified and customized to their needs. We can also suggest to you the time of stops at each attraction and help you to plan the logistics between these stops. Furthermore, we can give you advice where stop for having lunch and dinner. If the group wishes to come back to a hotel to eat and then continue with traveling you can also consider this option, without any hesitations. We can provide with high-quality coaches that may differ in sizes, capacity, and equipment. All the vehicles are modern, exceptionally clean inside and outside, and ready to be used by the clients. Usually, we supply the customers with the most common brands like MAN, Scandia, Iveco etc. However, if the notice is made in advance, there is no problem for us with supplying the VIP coaches of prestige manufacturers. All the vehicles come right in accordance with the EU safety regulations. When hiring a coach, it is important that the driver’s services were at the top level. It is particularly crucial when children and elderly people are a part of the group. Our drivers are exceptional professional of what they do on daily basis. They know the city’s roads very well, turning out of the extreme situations with ease. The routes of the city are well-known, hence the minimum traveling time from one place to another is guaranteed. They also will help you with handling your luggage whilst arriving at the airport, train station or a hotel. Ability to speak foreign languages is also very important. Our employees can speak Spanish and English as a mandatory request upon the hiring process, and some other European languages too. We are certain that like thousands of people who already used our hospitality you will be satisfied with our high-quality service and will come to us on many occasions in the future!